Lindsay Hair Interiors: Scooch Over Please! 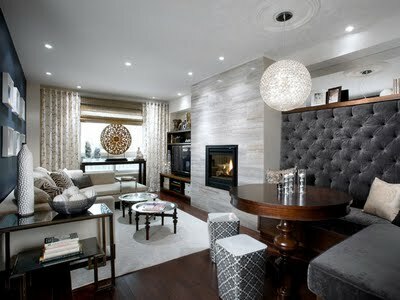 Banquette seating and tufting have been on my design plate for a few weeks now, so I just had to share! It can serve as a great way to maximize seating, but keep in mind, it also means when one person moves, several people move. I love this for so many reasons! 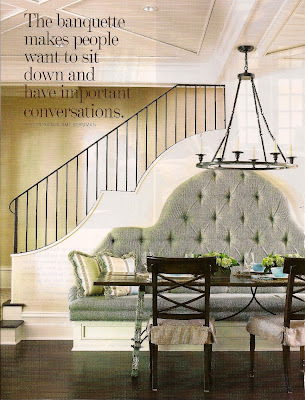 The Chippendale camel back, the light gray upholstery, dark wood floors...and notice how the wall with the stair rail mimics the shape of the banquette ....love, love, love! 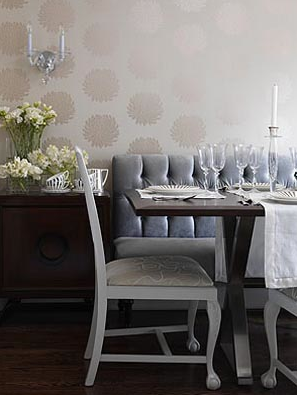 The warmth of the wood tone of the dining table is a great way to offset the otherwise cool color palette. 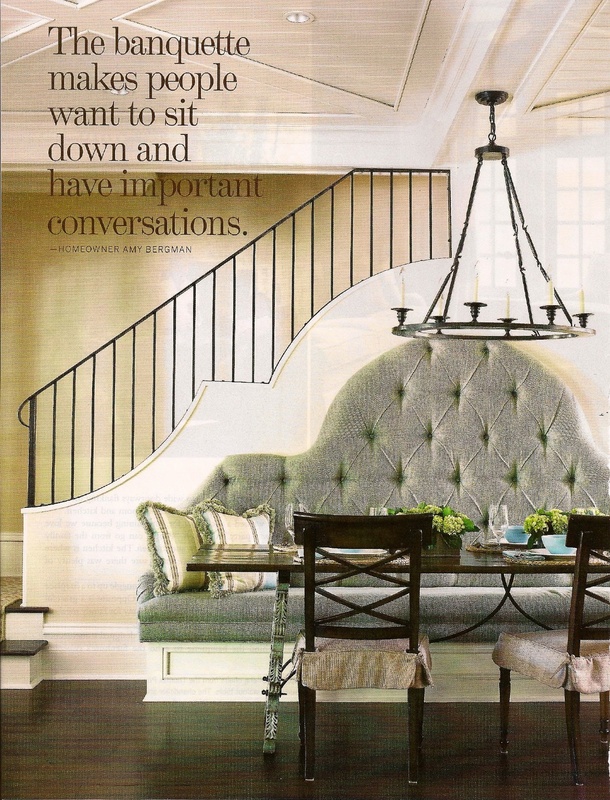 The shelf above the tufted banquette is also genius! 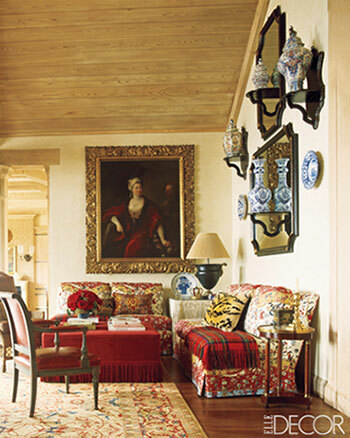 Great wallpaper, love the upholstery and the "ball and claw" side chairs mixed with a modern X based table!